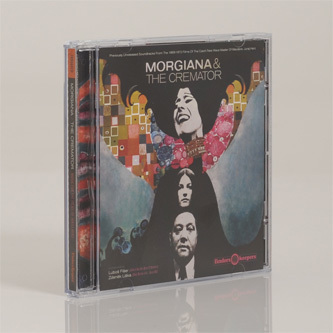 *Compiles the soundtracks to Morgiana and The Cremator, each also available to buy separately on two diifferent vinyl editions* "Galvanising our ongoing commitment to the lost music of the Czech New Wave cinema movement from the late 1960s and 1970s, Finders Keepers Records follow up our series of previously unreleased music to Valerie And Her Week Of Wonders, Daisies, Saxana and The Little Mermaid with a short series of soundtracks for films by the country’s master of the macabre and the nation’s first point of call for freakish fairytales and hallucinogenic horror, Mr. Juraj Herz. Regarded as the final-ever film of the Czech New Wave, Juraj Herz's Morgiana (alongside Valerie And Her Week Of Wonders) was made after the Prague Spring during Czech cinema’s most scrutinised censorship era deep in the throes of communism. Spearheading a micro-cosmic sub-genre of horror fantasy or scary/fairytales alongside Karel Kachyňa's Malá Mořská Víla(The Little Mermaid), these directors built a handful of subversive, flamboyant and experimental new films based around classical communist approved surrealist literature; sidestepping creative compromise and uniting some of the leading lights of the FAMU founded film movement for the last time. Both of Luboš Fišer's inimatable musical scores that unite the filmsMorgiana and Valerie share doppelgänger production and compositional ideas having been recorded just 18 months apart in 1970 and 1972. Forty years later these musical twin-sisters have been now presented for the first time ever outside of their original cinematic contexts. Revealing tiny shards of identical melodic phrasing, the Morgiana score visits darker hallucinogenic corners for this tale of two sisters seen through the perspective of giallo-esque “cat’s eye” camera work (filmed by Jaroslav Kučera (Daisies) revealing poison induced hysteria fuelled by sibling rivalry and desperately twisted jealousy. Adopting his mysteriously macabre musical persona, the versatile Fišer interweaves chimes, harps and harpsichord with echoing flutes, lutes and piano, applying his sig- nature orchestral tension and experimental percussion traits in the form of treated pianos, vibra-slaps, tape samples of striking matches and spring reverbs to this oblique heady selection. Drawing similarities with other stark monochrome thrillers such as Roman Polanski's Repulsion, Herz’s comparatively untravelled classic , 1969 feature film The Cremator also used the apoliti- cal subjects of fantasy and surrealist horror to evade the communist censors overzealous cutting and burning process which poetically echoed the films own macabre and fantastical screenplay. Unifying a cast and crew of some of the Czech New Wave's leading lights, Herz’s macabre depic- tion of Ladislav Fuks' fictional account of a local crematorium boss whose hallucinogenic burning obsession with the afterlife is ignited by the Tibetan Book Of The Dead (and intensifying manipulative Nazi propaganda) is undeniably one of the greatest underexposed European horror films of all time. Boasting a beguiling score and theme tune that remains one of the most memorable and spine-chilling, by the country’s finest experimental soundtrack composer Zdeněk Liška (Malá Mořská Víla), The Cremator provides the movement with one of its best loved signature scores. 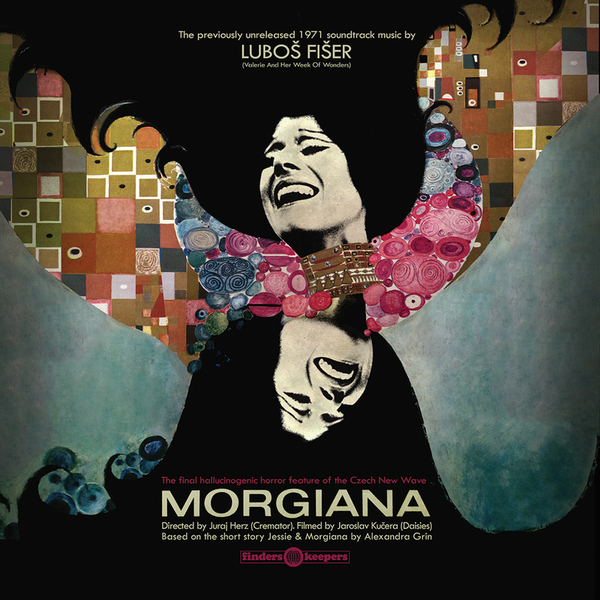 Featuring an ongoing partnership with studio conductor František Belfín (Daisies) and soprano singer Vlasta Soumarová Mlejnková (Marketa Lazarová), Liška puts his radical concrète and resampling techniques to one side in favour of celestial choral and orchestral arrangements; menacing giallo-esque tension and recurring rhythmical motifs of Eastern bells and chimes illustrating Rudolf Hrušínský's Kopfrkingl character’s demise into murderous infatuation and the momentary cameo shots of the hallucinogenic death figure played by Helena Anýzová (Valerie/Daisies). From a country and era when isolated soundtrack music remained commercially unreleased, Finders Keepers Records are proud to rescue, remaster and reincarnate these examples of intense and sublime, timeless fim music by two of Europe's finest composers taking rare excursions into horror territory. As part of a combined filmography of more than 400 formerly unpressed film scores these debut dedicated soundtracks are slowly reaching wider global audiences which should, in time, win them the same votes of confidence that we now award the likes of Komeda, Korzyński, Roubaix and Nicolai amongst other European soundtrack luminaries."